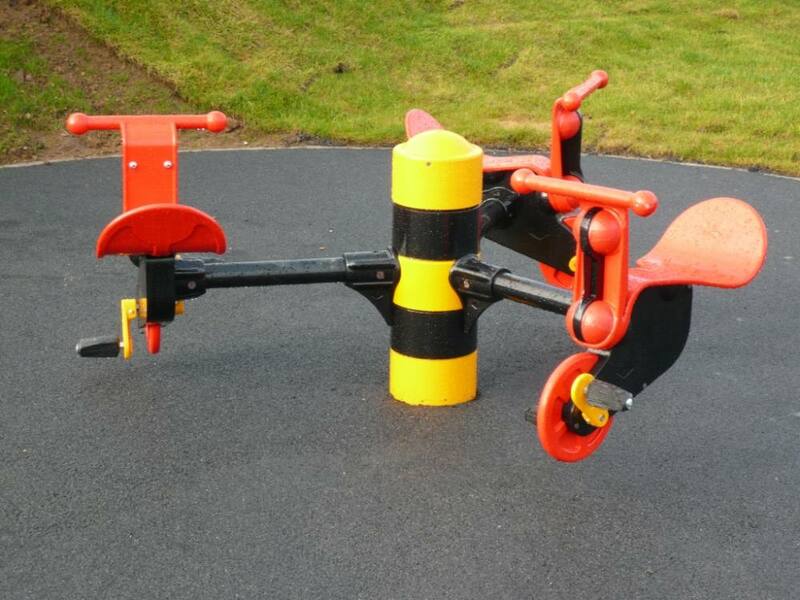 Product Description: This is a roundabout with a difference! Three person pedal carousel with seating and security handlebars. This piece encourages play and movement as well as team work. The equipment can be highly rewarding for children.